North Cascades National Park. Few fully know the intense and rugged beauty of the North Cascades, including jagged peaks, deep valleys, cascading waterfalls and over 700 glaciers. Each area offers different experiences and contains wilderness. A vast majority of the park complex, over 93%, is managed as the Stephen T. Mather Wilderness, which was established by Congress in 1988. The wilderness area was named in honor of the first director of the National Park Service. 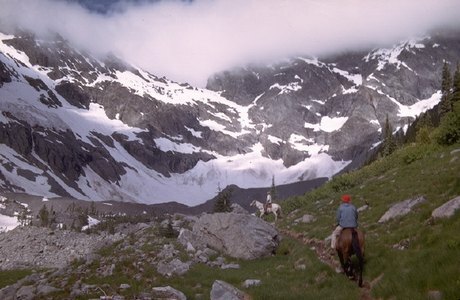 Long before North Cascades National Park Service Complex was established in 1968, this area was a home. It was the home to many Native American tribes and a trade gateway between the Plateau tribes to the east and the Coast Salish tribes to the west. Native Americans have been in these mountains for over 8,000 years. More recent settlers came in the nineteenth century to establish homesteads in places like the Stehekin Valley, or to mine elusive minerals such as gold, or to trap furbearing animals such as the beaver, otter, and marten. Now it is preserved as a national park for future generations to enjoy.